﻿ Neil Gaiman "The American gods"
The main > Cinema> Fantasy> Neil Gaiman "The American gods"
The novel "American Gods" which appeared in 2001 became the fourth prosaic novel of Gaiman. In the work Gaiman connects mythology elements (both ancient, and modern), a fantasy and modern American culture. Fancifully intertwining, they create the new fantastic world. 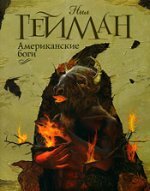 In the same world there is an action of some other works of Gaiman, in particular, "Sons of Anansi" and "The master of the mountain valley". The main character of the novel "American Gods" is called the Shadow Mun. He spent three years in prison, from where was let out ahead of schedule. In day of the release the Shadow learns that his wife Laura died in road accident. And what to do to it with again found freedom if it nobody waits for the house now? In the Shadow plane meets mysterious Mr. Sreda. That offers the Shadow work, and the former prisoner who has nothing to lose, agrees to the offer. Now its task — to accompany Mr. Sreda as the bodyguard on his travel across America. In the different cities Sreda meets colleagues and acquaintances — at least, it seems so at first sight. Actually Mr. Sreda — a terrestrial embodiment of god Odin. It collects the American incarnations of Old Gods, heroes of ancient mythology to enter fight with the New American Gods who are closely connected with modern life and technology (transport, mass media, the Internet...). In the novel "American Gods" the noticeable part is assigned to mythological characters from folklore of the different people. It both drevnegermansky trikster of Loki, both West African demiurge Anansi, and Ancient Egyptian keeper of a home Bastet, and Indian destructor of time of Cali. And itself the Shadow appears Baldr, drevnegermansky god of spring and light (though in the text of the novel it is not told about it directly). The book "American Gods" was awarded several prestigious awards. 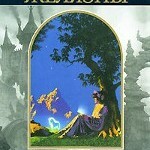 In a year after the edition the novel got the award "Hugo", the award "Nebyyula" and an award of Bram Stoker. It put Gaiman in one row with such eminent fantasts as Robert Heinlein, Clifford Saymak, Ursula of Le the Head Department of the Penitentiary, Isaac Asimov, Roger Úelazny, Arthur Clark, Lois Macmaster Boudjold, etc. "Very long time ago, in the early childhood, he read one history: about the traveler who fell from the rock; at the top of it man-eating tigers, and below — sharp stones waited; he managed to catch something in the middle and hung over an abyss. Before his face there was a bush of ripe wild strawberry, and from above and from below — certain death. Then the question followed: and what now it has to do? And the answer was: is wild strawberry"
"— I leprekon — grinned it. A shadow did not smile. — Truth? — he asked. — Then, maybe, you should drink "гиннесс"? — You have no Irish accent. — I here too long ago, oh, damn. — So you the truth are from Ireland? — I told you. I leprekon. We, your mother, are not found in Moscow"
"Literature allows us to get into the consciousness of other people seeming to us other worlds and to have a look at the world their eyes. And then — in the book — we stop before to die, or we die foreign death, and in the world outside the novel we turn the page or we close the book. We are restored to the life. Life which resembles all others and to one of them it is not similar"
Stephenie Meyer "Eclipse" The third book of the well-known vampire saga which headed lists of best-sellers of seven countries and sold with the circulation of two million copies.